Sponsored by the Scottish Harp Society of America and American Harp Society Pittsburgh Chapter. ​The "Scottish harp" is a small harp used in Scotland, Ireland and Wales for several centuries. "Small" means that it has fewer strings in comparison to the modern orchestral harp, on a smaller body. Harps come in many sizes and are more primitive in that the harp changes key with levers that press on individual strings to raise the pitch. The strings are gut, nylon or wire and can be played with either finger pads or, historically, the fingernails. The harp was revered in the clans and the harper was expected to tell stories of the history of the clan. Scottish culture and music is widespread and with it went the harp, and today is most prevalent in Scotland, Ireland, Wales, Cornwall, Brittany, Canada and the USA. More detailed information can be found at the Harp page using the link below. HARPER REGISTRATION begins in the Harp Pavilion at 8:30 a.m. Drawing on her Scottish heritage and on her experiences from several trips to the British Isles, Jo Morrison paints a vivid image of Celticdom through her performances. Using exciting, upbeat dance tunes and evocative, emotional airs, Jo touches the souls of her audiences. Described by music critic Pamela Murray Winters as having "the freshness and grace that first gave Celtic music its power," Jo has the energy and enthusiasm to invigorate any audience. Jo has performed concerts at locations such as the An Lanntair (Stornoway, Scotland), Library of Congress, Somerset Harp Festival, the Smithsonian, a concert tour of Norway, the Maryland Renaissance Festival, various Scottish Festivals around the United States and in Scotland, Ireland and Germany. 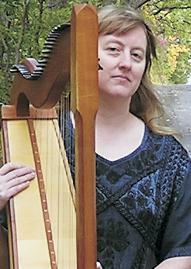 Jo gives scholarly lectures on the history, folklore, and music of the Celtic harp. She also gives Celtic harp lessons both privately and at workshops. 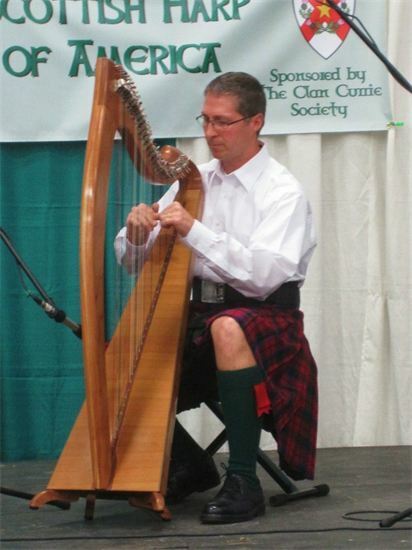 Mr. Steve Schack of Columbus, Ohio is an experienced and renowned Scottish Harpist and the 2010 U.S. National Scottish Harping champion.